This ancient nation is opening up to the outside world. A multicultural country with a mix of Nepalese, Indian and South East Asian cultures. 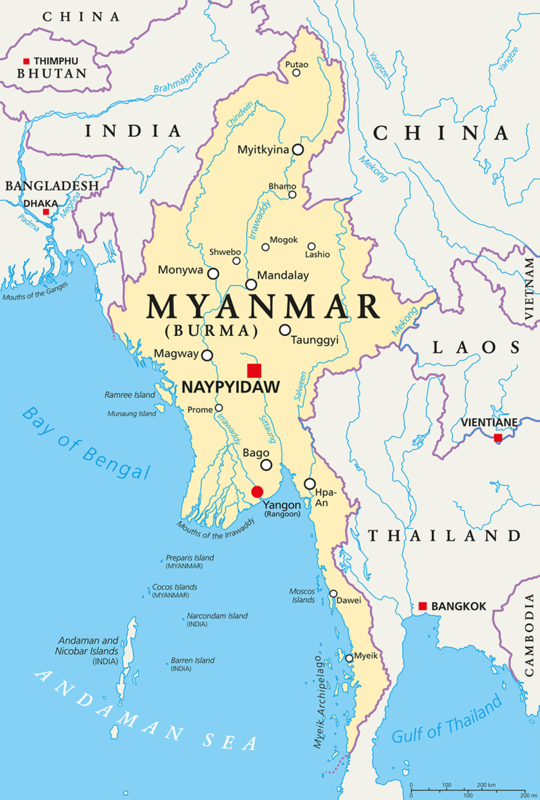 Myanmar, often referred to as Burma even by the locals, is a friendly country and the Burmese greet inquisitive travellers warmly; it is their charm that creates perhaps the most lasting memories. A complex history unfolds through crumbling ancient cities, vast swathes of jungle that envelope the countryside from the Himalayan foothills down to the central plains, where pagodas and temples of varying shapes and sizes abound, through which the Ayeyarwady River flows languidly south. Shwedagon Pagoda, Kyaiktiyo Pagoda with the gold granite boulder, Shwenandaw Kyaung Monastery, hot air ballooning over Bagan at sunrise, Kakku Pagodas, Shwe Indein Pagodas, Taukkyan War Cemetery, Inya Lake, Mandalay Hill and Palace, Popa Mountain National Park, Bagan Temples, Ngapali Beach, Pindaya Caves, Htilominlo Temple, Inle Lake, U Bein Bridge at dawn, Yeywa Dam and the Dhammayangyi Temple. Then there are the beautiful islands of the Myeik Archipelago.